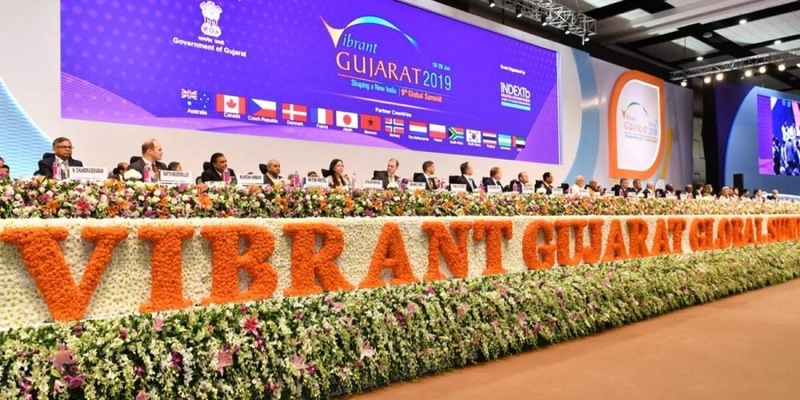 A global trade show being held in the western state of Gujarat, Vibrant Gujarat 2019 saw a mega line up of international delegates on its first day, some of whom made requests to the Prime Minister that remain unanswered and linger as doubts. Conceptualised in 2003 by Indian Prime Minister Narendra Modi, the Vibrant Gujarat summit saw the inaugural of its ninth edition yesterday. Being held at Mahatma Mandir, a convention centre in Gandhinagar, the global summit is seeing participation from 15 partner countries, while also playing host to dignitaries and participants from about 100 countries. The 15 partner countries are France, South Korea, Canada, Poland, Japan, Thailand, The Netherlands, Sweden, South Africa, the UAE, Uzbekistan, Norway, Czech Republic, Morocco and Australia. Other than different nations, eight Indian states have also come to the summit to make use of the trade platform and highlight their respective trade opportunities. The three day event is looking at a footfall of nearly 1.5 million visitors, with participation from global leaders including heads of governments, leading business manufacturers, and buyers and sellers. Established with the aim to make the western Indian state of Gujarat as a preferred investment destination within India, the summit is targeting to develop various industries in the state including automobiles, agro and food processing, oil and gas, e-mobility, chemicals and petrochemicals, banking and finance, and pharmaceuticals. “Gujarat represents the best of business spirit, which exists in India,” Modi said at the event, adding that the event will further sharpen this spirit. He also said that India is poised to be placed among the top 50 countries in ease of doing business by 2020; but that is a doubt that lingers on. Governor of the state of Kentucky (United States of America), Matt Bevin highlighted the issue of red tape in India, putting the stats of ease of doing business in India open to question. “While it is important to be protective, it is also important to exchange ideas and innovation,” Bevin said while commenting on how red tapism hinders this ease. However Modi’s speech reverberated a rather positive outloook. “India is now ready for business like never before,” Modi said, adding that the country is also ready for manufacturing, which will be done in the country in a sustainable way. “Clean energy, green energy. Zero defect, zero effect” he professed. In the last four years India has jumped 65 places as per the World Bank’s doing business report on ease of doing Business in India. From spot 140 in 2014 to India is now at 77 in 2019. Modi also said that doing business in India is now cheaper due to the implementation of the Goods and Services Tax (GST) and other measures of simplification of taxes. Doing business is also faster and smarter due to schemes like Digital India, he mentioned. “In India, which is the fastest emerging economy, our challenge is to grow horizontally as well as vertically,” he added. “Horizontally, we have to bring the benefits of the government to regions and communities that have been left behind. Vertically, we have to make amendments in terms of quality of life and quality of services,” he said. Modi also said that the achievements of India will directly impact one-sixth of humanity. India continues to remain one of the fastest growing economies in the world, with major financial institutions like the World Bank and the International Monetary Fund (IMF) and leading companies and top industrialists expressing confidence in India’s economic journey. The fact that Gujarat government signed around 130 MoUs with investment commitments worth over INR 560 million in various sectors on the first day of the Vibrant Gujarat Global Summit 2019, is a testament to the growing faith of businesses in Gujarat and indeed India.